Dr. Kimberly R. Hendrick was born and raised in Odessa, Texas. Her two passions growing up were her animals and sports. She competed in the 1994 NAIA Nationals in hurdles for Howard Payne University. 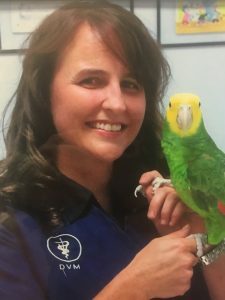 She earned her Bachelor of Science in Biomedical Science and Veterinary Science from Texas A&M University in 1997 and 1998, respectively, and her Doctorate in Veterinary Medicine, also from TAMU in 2001. She initially practiced medicine in Lubbock for five years before moving to the Brazos valley. She and her husband Cory have two children, Audrey and Bruce, plus a herd of Angus Cross cattle, and a variety of dogs, cats, turtles, chickens, and birds. In her spare time, Dr H. likes to run, read books, play tennis, sew, knit, and crochet. Dr. Jimmy R. Lloyd was born and raised in the Kurten community and attended Texas A&M University. 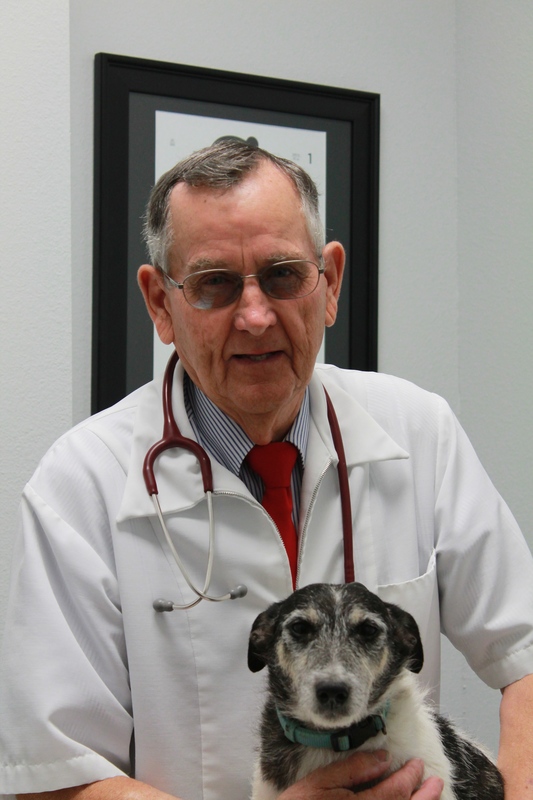 He earned his Doctorate of Veterinary Medicine from Texas A&M University, College of Veterinary Medicine in 1959. He practiced in different areas of Texas and Iowa but came back to Bryan in the early ’90s. 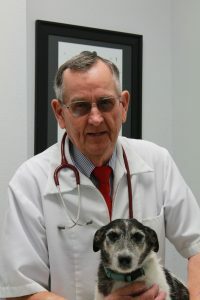 What Dr. Lloyd loves most about veterinary medicine is the relationships he has built over the years with his clients. He has three grown sons- John, Jerry, and Judson- and five grandchildren. He enjoys attending church at Reliance Baptist, watching his grandchildren play sports and talking politics. Robyn joined us in January of 2017. 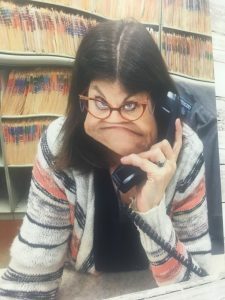 She previously had worked for the Texas A&M 12th Man Foundation for 16 years. She enjoys spending time with her 5 dogs and 3 cats. She’s so pleasant each and every day, we had to forcibly put a frown on her face here!!! Candace is our Technician Supervisor and joined KVS in April, 2017. 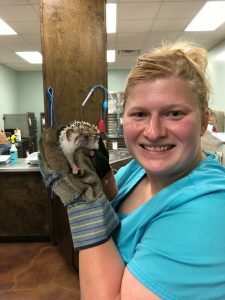 Although a local, she came here from Abilene where she worked as a veterinary technician for a year. She also has prior experience with equine with Pool Performance Horses in Weatherford, TX. Candace recently received her certification in bovine artificial insemination and palpation. She enjoys spending time with her daughter, leather working, and cooking. The staff especially enjoys her cornbread and cobblers! Kymber has volunteered and/or worked for KVS since 2016. 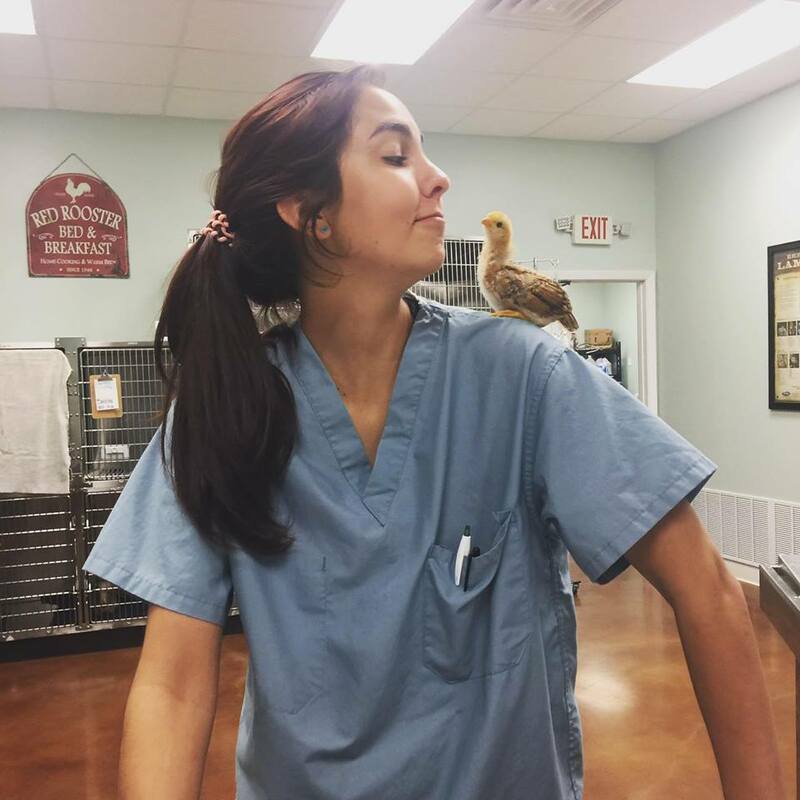 She recently graduated the Blinn College Veterinary Technician Program where she earned her LVT and is licensed in the State of Texas. She showed chickens and heifers for 4-H and FFA. In fact, we first met her when she walked her show heifer up to our front door! She really enjoys working with our exotic patients. She is married and has three dogs. Paula joined us in June of 2014. She graduated Sul Ross University with a BS degree in Animal Science in 2005. 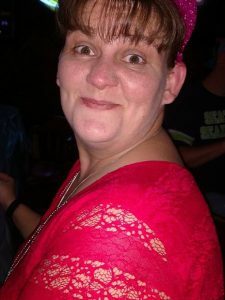 She enjoys spending time with her daughter, and volunteering for Girl Scouts. Make sure to ask for cookies next time you come in! She has 2 dogs, one cat, a turtle, and a rabbit. 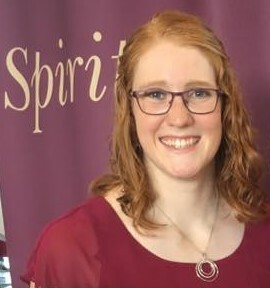 Leah began working for us in October of 2015. She is currently earning her BS in Agricultural Leadership from Texas A&M University. She enjoys spending time with her rambunctious dog, and helping with the family cattle business. 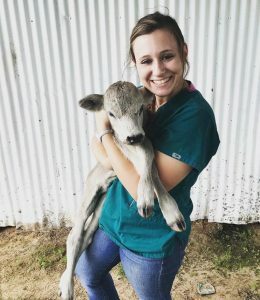 Her specialty is nursing the entire Brazos County orphan calf population, so be sure to thank her for her service!!! Caitlynn joined us on May of 2018. She has recently graduated from Texas A&M University with a BS in Animal Science. She swam for the TAMU Swimming and Diving team, and recently represented TAMU in the NCAA Championships. She hopes to get into Texas A&M Vet School so make sure to quiz her with all your questions to help prepare her!!! Cory Hendrick joined the clinic in 2015. He graduated from Texas A&M University College of Engineering with a BS in Chemical Engineering. Prior to KVS, he had worked ten years as a Chemical Engineering Consultant for Bryan Research & Engineering. In addition to his responsibilities at KVS, he is currently enrolled in Gonzaga Catholic University’s online Masters in Theology and Leadership program.